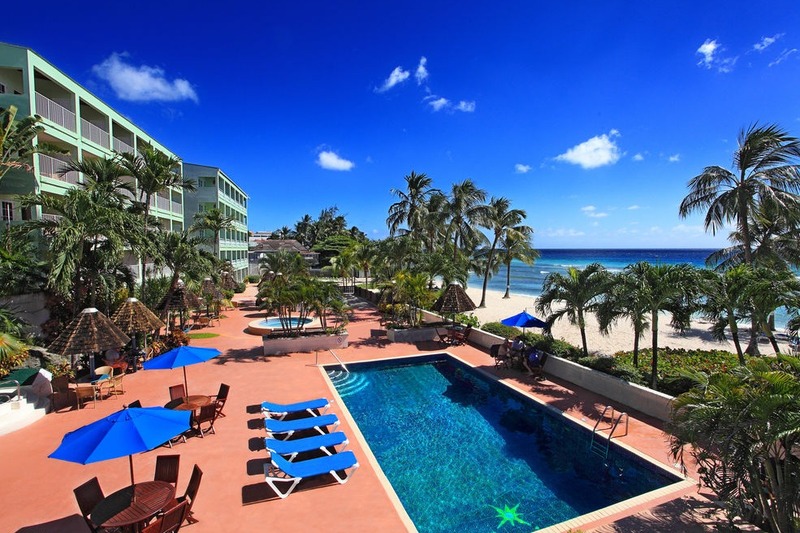 Guests can enjoy the pool and beach at Coconut Court Beach Hotel. Coconut Court Beach Hotel is a family-run beachfront property located near Bridgetown and St. Lawrence Gap on the south coast of Barbados. The hotel features a pool, a kids’ pool, free breakfast, and tropical-style rooms with private balconies. Each air-conditioned room at the Coconut Court Beach Hotel has tiled floors and wooden furniture. A microwave, fridge and coffee facilities are included, and free Wi-Fi and cable TV are also provided. Coconut Court Beach Hotel has a picturesque beachfront setting, a short walk from a boardwalk, restaurants, shopping, supermarkets and banks. Tour information and a gift shop are offered at Coconut Court. Guests can relax in the lounge chairs on the beach or on the sun terrace around the pool. The beach bar offers views of the sea and there is also a picnic area on the beach. The restaurant serves a la carte cuisine and a snack bar is also available. Fly into Grantley Adams International Airport, Barbados (BGI). The hotel is about 20 minutes from the airport and offers free roundtrip airport transfers. Visit Coconut Court’s website for more information.